Doll families are interesting in the way that they grow and evolve. Take my dolls for instance. 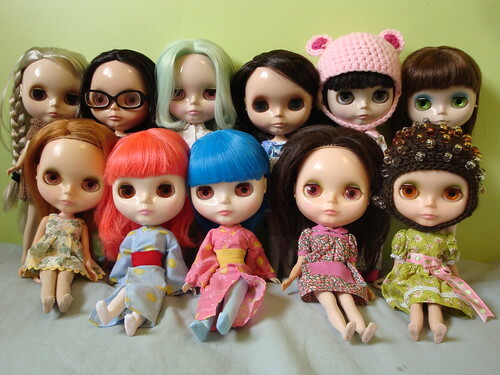 I started off with one Blythe, just like everyone else does. I had Sophie, my stock Cappuccino Chat. She’s also the reason why I learned how to properly spell ‘cappuccino’. It also didn’t take very long for that one to grow to three by the end of the year. I added Belarus (Love Mission) a month after Sophie was bought. Tertiary Jane (Simply Peppermint) came in November of 2009. 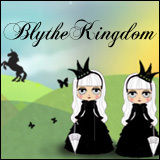 In under a year (June 28 2009 to March 26 2010), I had hit six Blythes. In those short 9 months, I had went from 0 to 6. And at six it stayed for over a year. I had acquired Bennett (Margaret Meets Ladybug), Eden Mouse (Punkaholic People) and Kindred (Velvet Minuet). Before Kindred, every single one of my dolls had arrived in my hands as NRFB dolls. Kindred was purchased as a second-hand/used doll. She was also the first doll I had taken outside of my house (this may be a coincidence, but it probably isn’t). My first six are always going to be special to me. All stock, all beautiful in their own way. Some are more demanding than others, some are more easy going. One only wears one colour… They have all their quirks, their personalities. And I love them all. 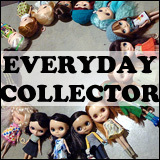 It wasn’t until October of 2011 that my doll family started to grow again. I added a Kenner to the family. 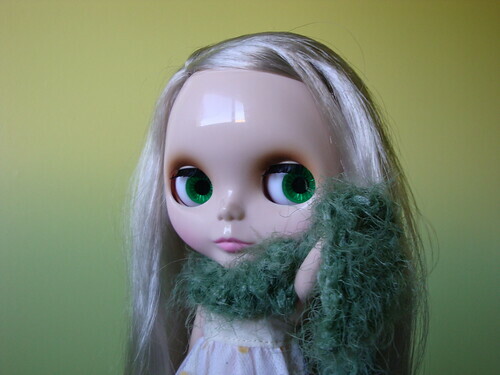 When Emmalynn (my redheaded Kenner love) arrived, I was convinced that she would be the last Blythe I ever bought. She was the one I stressed over on eBay for, the one I bid on, the one I crossed my fingers and obsessively refreshed the tracking information for. And then came Moxie and Mollie, the Simply duo that’s part of a trio. I didn’t count them though, because technically I didn’t buy them. It took me less than two months after Christmas to add two new-to-me Kenners to the family. Cue Primrose and Lillian (who only back in July got a name!). 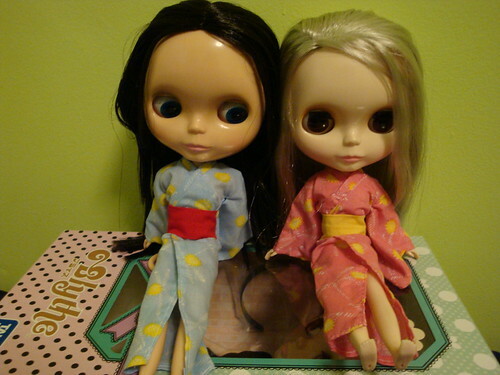 Between October 2011 and February 2012, I added 5 Blythes to the family. When it rains, it pours in terms of plastic dolls. 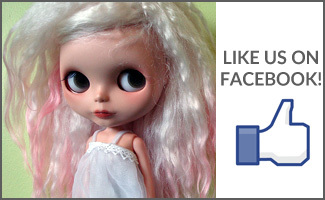 And then in July 2012, I got my very first custom dolly, which I had posted about! Halo, a lovely RBL custom by Friends with Blythe. Now that I’m at an even dozen, I’m pretty confident I’ll stay there for the time being. 3 Kenners, 2 EBLs, 1 SBL, 4 RBLs, 2 FBLs. I just ordered my third! still want a velvet minuet stock outfit tho. =/ They’re all lovely. 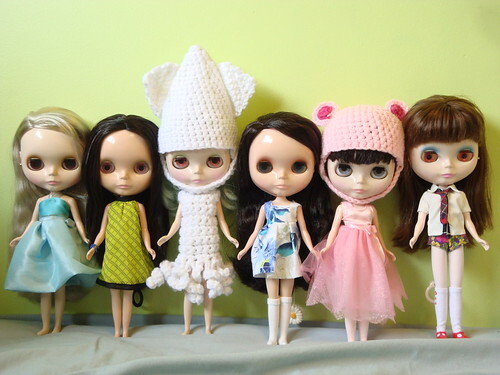 Cassie (RBL Cass Spice), Hana (custom ADG by me), Yula (Slight Custom RBL PuPe) and then…Fawn (BL Mondie) Autumn (BL Aztec) Elsa (BL RR), Gillian (BL Kozy) and my unexpected new Blythe, Calliope, a custom by Moofala/Pip who I won at Blythe Con Texas!